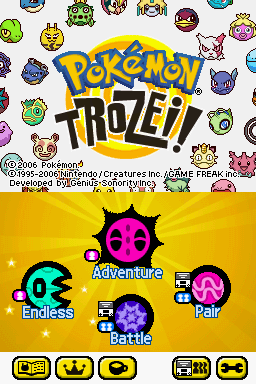 Pokémon Trozei is a puzzle game which was initially released for the Nintendo DS on October 20th, 2005 in Japan. It followed in North American on March 6th, 2006, Australia on April 28th, 2006 and made it to Europe on May 5th, 2006. In Europe Pokemon Trozei is known as Pokémon Link, this regional variation may have been responsible for Europe getting its release last. 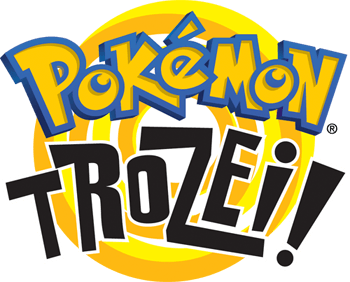 During a Nintendo Direct announcement on February 13th, 2014 it was announced that Pokemon Trozei was getting a sequel which would be an eShop exclusive known as Pokémon Battle Trozei in the U.S and Pokémon Link Battle in Europe. 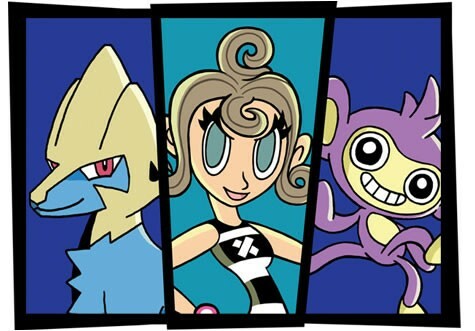 The story follows Lucy Fleetfoot who is an agent for an organisation called SOL, the Pokemon Sigil for this organisation is Solrock. Lucy reports to her superior, Professor P who is the top agent in SOL. Lucy heads to the lab to do some training on how to use the Trozei Beamer, which will be used to teleport the stolen Pokémon back to safety, once mastering it's technique Lucy set off on her mission to return the stolen Pokémon. Shortly after Lucy departs Professor P gets in contact and lets her know he has located on of the Phobos Battalions secret sites. Lucy, being pretty fleet of foot sneaks into the site no problem and using the Trozei Beamer beams all the stolen Pokémon back to HQ. The process is repeated at a couple more Phobos sites until Professor P makes contact with important news; the SOL Satellite has located one of the Phobos Mobiles, the infamous Phobos Train! 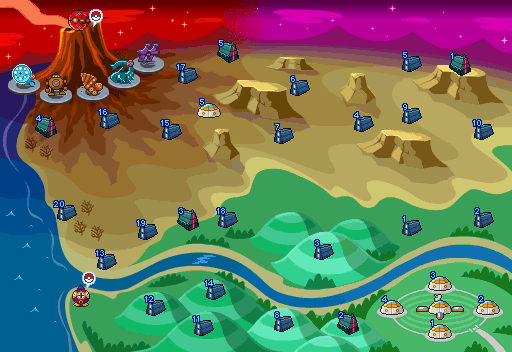 Lucy makes haste to travel to the Phobos train, boards it and begins beaming out as many Pokémon as she can back to HQ. Unfortunately and perhaps due to her haste General Buzz, the feared leader of the Phobos Train catches her in the act and a battle ensues. General Buzz drops jammer balls into spaces where Pokémon should be, making it more difficult to beam Pokémon to safety. He also has the ability to make "Trozei left" all the way up to 50 if he isn't stunned and it's below 10. 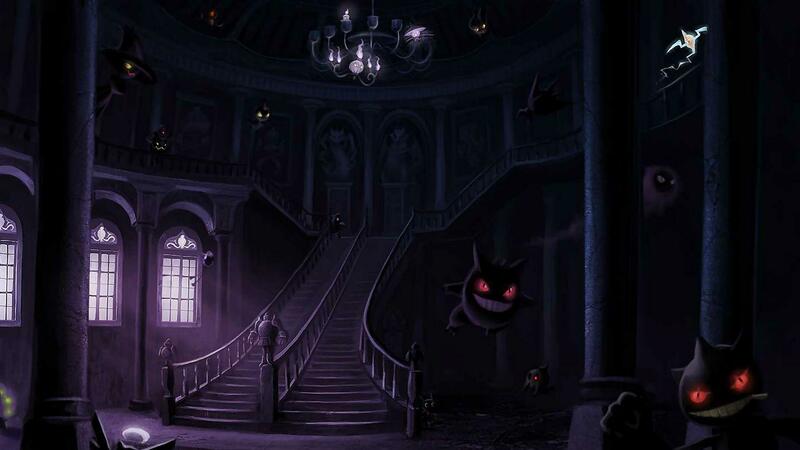 Another ability he uses will make the screen dark, and turn all the Pokémon into silhouettes making it more difficult to match up, the dastardly fiend. The gameplay in Pokemon Trozei/Link is very similar to that of Yoshi's Cookie or Tetris for the Game Boy. Blocks will fall into the grid from the top, and they're all shaped like different Pokemon, these blocks will keep falling til they land at the bottom of the screen, or if the area they land on already contains other blocks, they'll layer up on top of the existing blocks. The players aim is to line up four of the same Pokemon either horizontally or vertically which will cause the blocks to disappear and will earn the player points, to line up four Pokémon is to get 'a Trozei'. The player moves the blocks around the screen using the Nintendo DS stylus. You can only create matches with blocks on the bottom screen, stuff in the top screen cannot be matched up until they drop down into the bottom screen. It may be that you can already see sets of 4 lined up for a Trozei on the top screen, but you'll need to clear blocks from the bottom so that they can drop down in order for that Trozei to activate. If the player lines up a five symbol Trozei a Ditto will appear, which can be used as a wildcard Pokemon and can be used to help match up four+ of any other Pokemons blocks. When the player succesfully gets a 4 block Trozei the bottom screen will light up green and produce a "Trozei Chance" or "Link Chance" meaning that it's possible to score a Trozei by lining up just three symbols instead of the usual 4. Likewise it also enables the player to get L Shape Trozei's and T Shape Trozei's. This bonus period lasts for as long as the game does, as long as there are still possible matches available to make in that game, as the game progresses the "Trozei Chance" or "Link Chance" duration gets shorter. If you manage to Trozei every possible match and clear the whole screen you'll obtain 10,000 bonus points known as "Trozei All". The ingame Pokedex for Pokemon Trozei contains all 386 Pokémon which existed at the time of the games release. While playing the adventure mode make a combination, or Trozei/Link of a Pokémon in order to rescue it, send it back to Professor P and have it added to your Pokedex. The Pokedex is arranged by national Pokedex number and spans the entirity of Pokemon from Gen 1 to 3, starting from Bulbasaur all the way up to Zygarde. Like in the core series games, the obvious logic that some Pokémon are much rarer than others applies, for example Mewtwo, Mew, Lugia etc are a lot harder to find, although participating in the Espionage mode can help to give clues as to where to find these rarer Pokémon. Also if you are looking for a specific Pokémon and just cannot find it, linking your game with a player who does have it in their Pokedex will prompt Professor P to say that the Pokémon you're after has been found, and it will be in the location where the player who does have it originally caught it, allowing you to follow in their footsteps and catch it in the same place they did. In order to complete your Pokedex you'll also need to take on Pokémon collector, Mr. Who. 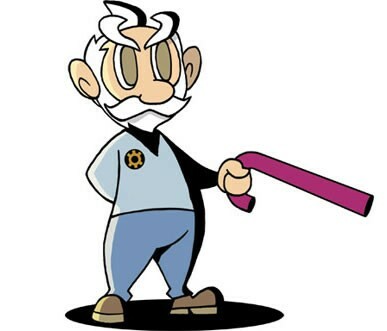 He is notorious for collecting the stolen Poké Balls which roll out of the planes of the Phobos Battalion, and as such he has a good collection of rare ones. If you want a shot at winning these rare Pokémon you'll have to challenge him, and in order to do so you'll havev to pay him prize coins. In the challenge against Mr. Who there are several differences compared to a normal challenge, the most prominent of which is that there are seven columns instead of five, meaning there are is a much wider scope for scoring different combinations. Some Pokémon are exclusive to this challenge mode. This is the story mode of Pokémon Trozei. For more info on the story click here. In short this is the mode in which Lucy Fleetfoot of SOL must win games of Trozei to defeat top ranking members of the Phobos Battalion. Once this mode is beaten it will unlock Trozei Hard Adventure mode. If you have what it takes to defeat the hard version of Adventure Mode you'll then unlock Forever mode, featuring a larger grid area and requiring five Pokemon matches to score a Trozei. Trozei chance times are also significantly reduced in this mode. This mode is unlocked if the player can defeat the Phobosphere in the hard version of Adventure Mode. The grid size is 5 x 7 squares and in order to score a Trozei the player must get 5 of the same Pokemon in a row instead of the usual 4. During Trozei chance things must be done in a set order, initially 4 Pokemon must be Trozeid, then 3, then 2, Trozeis occur at double the speed as in the other modes. This area contains the Agent Card collection including the player own personal Agent Card, it's also where Espionage mode is accessed from. 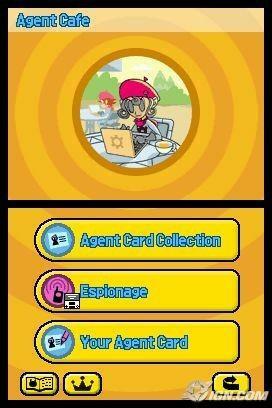 Each time the player connects and interacts with another Pokemon Trozei player they'll get an agent card of that person will be added to the Agent Cafe's Agent card collection. Every players agent card can be customised with their own name, date of birth, gender and a quote. 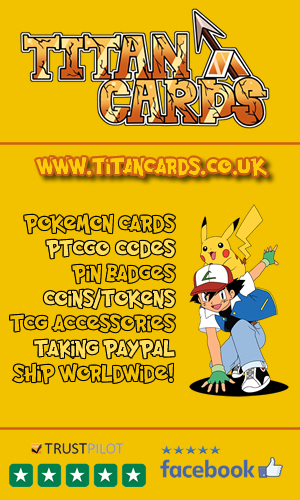 Each player's agent card is assigned one rare Pokémon, the agent card can then be used to access the Phobos Battalion Storage area which contains the Pokémon assigned to their card. The Pokémon you get assigned to your agent card is completely is randomn. This mode enables two Pokémon Trozei players to link their games and communicate. Pair mode and Battle mode are enabled by this link. This mode enables the two linked players to take each other on utilising the Wireless connection of the Nintendo DS. 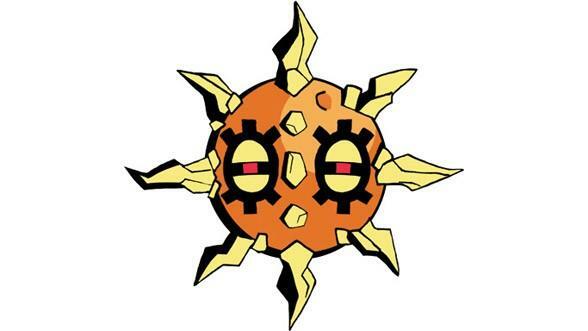 During a match when one player makes a Trozei, the Pokémon they used in their combo will drop onto the opposing players field. Trozei/Link sales figures are sketchy to say the least, with seemingly no documented sales figures for Pokémon Link's performance in Europe. What we do know however is that Trozei sold around 250,000 units in the USA (accounting for around 42.8% of its total recorded sales) and around 310,000 units in Japan (accounting for approx 53.3% of recorded sales). The rest of world sales for Trozei stand at around 2000. These stats are supposedly true as of 26th August 2017 but I'm unsure why theres so little info on European sales. Game Informer scored it 8.25 out of 10 and stated that Trozei was "both charming and challenging enough that even those nauseated by the thought of Pokémon should really pick it up anyway." 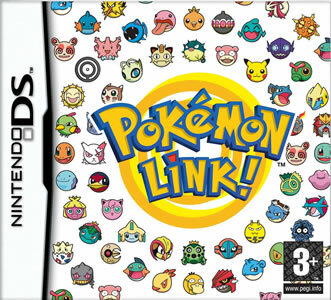 Nintendo Power awarded the game a strong 8.5 out ouf 10 and shared similar views to Game Informer, stating "a stylish game that's a blast whether or not you're a fan [of Pokémon]"
IGN's Craig Harris scored the game 8.0 out of 10 and quoted "Pokemon Trozei is a new take on the familiar tile-sliding puzzle design, and it's a really good one"
Ryan Davis from GameSpot wasn't as impressed as everyone else but gave it a reasonable 7.1/10 all the same, stating "A meager selection of gameplay modes keeps Trozei from being essential, but the core gameplay remains engaging, regardless." Trozei holds an aggregate score of 74/100 on Metacritic based on 32 critic reviews, where 18 of their users rated the game an average 7.2. Similarly Trozei holds a score of 72.62% over 29 reviews at fellow aggregation site GameRankings.